The GeoFluids Research Group has opportunities for graduate and post-doctoral study. If you join our group, you will couple geological observation with quantitative modeling to gain a process understanding of geological processes. I am particularly fascinated with how fluid flow impacts active geological processes (e.g. faulting, gas venting, submarine landslides) and I think that combining the study of geology and fluid flow is a ripe interface for research. I am most enthused by students who have a commitment to a doctoral program because that allows you time to delve deeply into research. However, I also regularly accept exceptional M.S. students. If you are interested, please e-mail me, Peter Flemings, (pflemings@jsg.utexas.edu). We have opportunities for students to characterize methane hydrates in the subsurface with 3-D seismic and borehole geophysical data and to use these analyses to develop a process understanding of hydrate formation. We also have opportunities for students to characterize and model the petrophysical conditions of hydrate reservoirs through direct measurements and/or analysis of pressurized core samples. There is the potential to participate in an offshore scientific drilling cruise to directly acquire these data. Above all, we look for creative individuals with a passion for quantitative geological analysis of methane hydrate systems. Predicting methane venting due to climate change (Darnell and Flemings, in review). You, K., Kneafsey, T.J., Flemings, P.B., Polito, P.J., Bryant, S.L., 2015, Salinity-Buffered Methane Hydrate Formation and Dissociation in Gas-Rich Systems, J. of Geophys. Res. 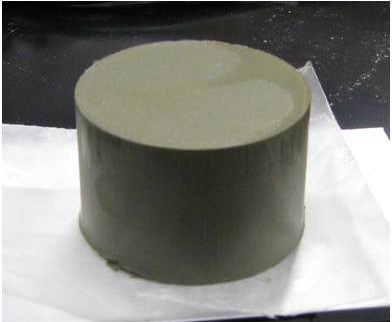 Solid Earth, 120, 643-661, doi: 10.1002/2014JB011190. Smith, A. J., Flemings, P.B., Fulton, P.M. , 2014, Hydrocarbon flux from natural deepwater Gulf of Mexico vents, Earth and Planetary Science Letters, v. 395, no. 0, p. 241-253. Smith, A. J., Flemings, P. B., Liu, X., and Darnell, K., 2014, The evolution of methane vents that pierce the hydrate stability zone in the world’s oceans: Journal of Geophysical Research: Solid Earth, DOI: 10.1002/2013JB010686. Meyer, D.W. and Flemings, P.B., 2014, Thermodynamic Stability of Gas Hydrates in the Krishna-Godavari Basin Inferred From Well Log Analysis, 2014 Offshore Technology Conference: Houston, TX, U.S.A., p. 9. Liu, X., and Flemings, P.B., 2009,Dynamic response of oceanic hydrates to sea level drop: Geophys. Res. Lett., v. 36, p. L17308. Liu, X., and Flemings, P.B., 2007,Dynamic multiphase flow model of hydrate formation in marine sediments: Journal of Geophysical Research-Solid Earth, v. 112. 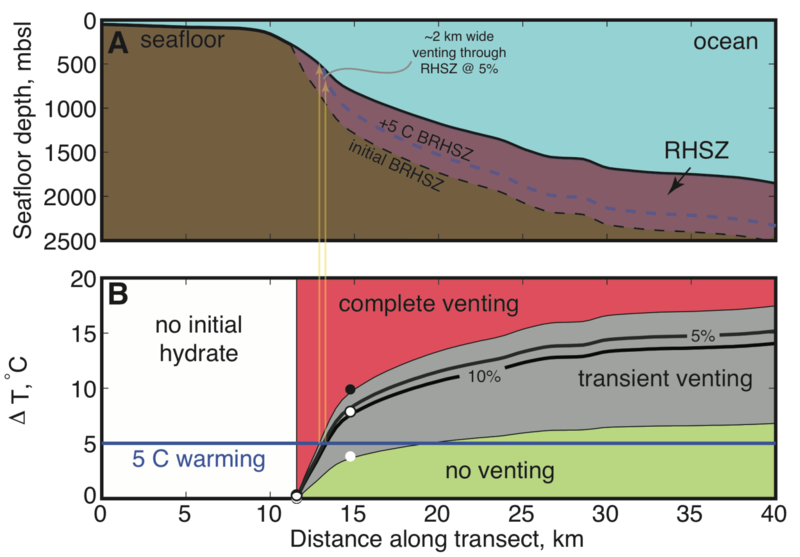 Liu, X., and Flemings, P.B., 2006,Passing gas through the hydrate stability zone at southern Hydrate Ridge, offshore Oregon: Earth and Planetary Science Letters, v. 241, p. 211-226. Flemings, P.B., Liu, X., and Winter, W., 2003, Critical pressure and multiphase flow in Blake Ridge gas hydrates: Geology, v. 31, p. 1057-1060. 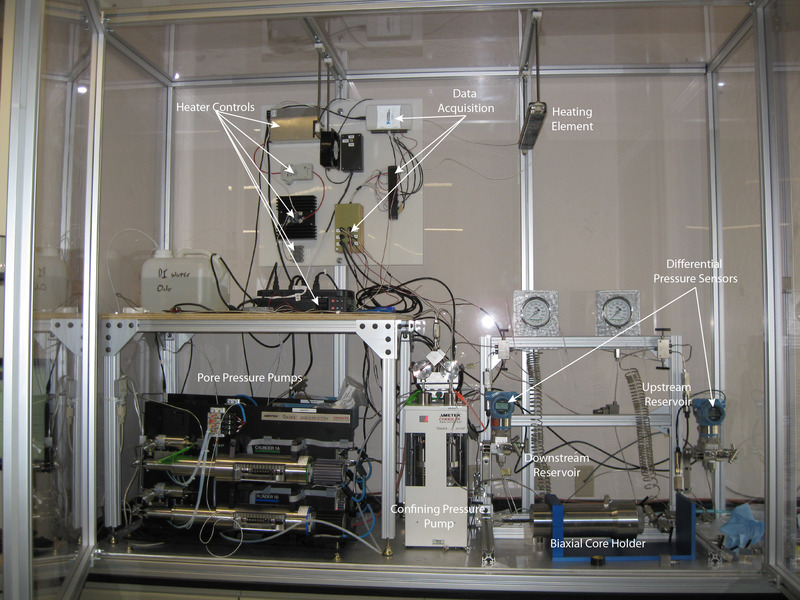 We are measuring permeability of oil and gas shales with nanometer scale pores (e.g. the Barnett, the Marcellus…) and we are developing numerical models to describe mass transport within these systems. Bhandari, A., Flemings, P.B., Polito, LP., Cronin, M.B., Bryant, S.L., 2015, Anisotropy and Stress Dependence of Permeability in the Barnett Shale, Transport in Porous Media, Vol. 108, Issue 2, pp 393-411, DOI 10.1007/s11242-015-0482-0. We study how overpressure is generated and how fluids flow in sedimentary basins. 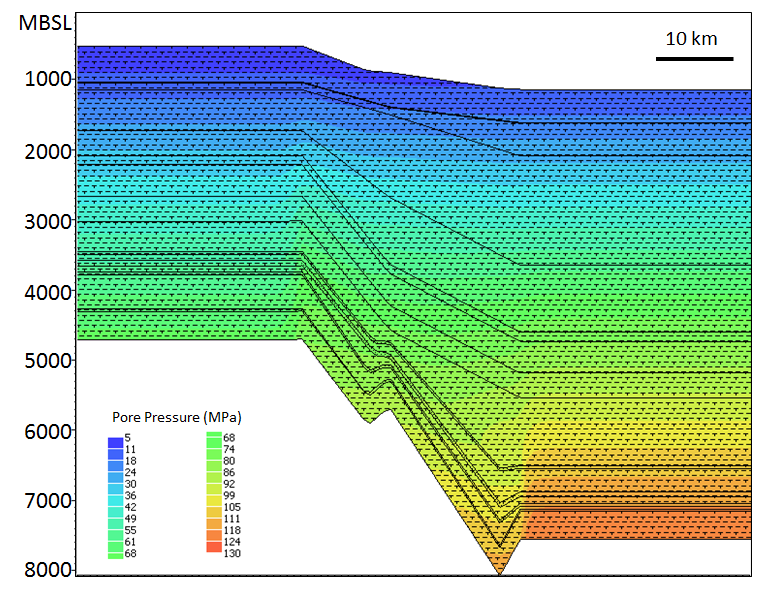 Students will study overpressured systems and develop models to describe pressure and stress in basins. Dugan, B., Flemings, P.B., 2000, Overpressure and Fluid Flow in the New Jersey Continental Slope: Implications for Slope Failure and Cold Seeps, Science, V. 289, p. 288-291. Flemings, P.B., et al., 2008, Pore pressure penetrometers document high overpressure near the seafloor where multiple submarine landslides have occurred on the continental slope, offshore Louisiana, Gulf of Mexico, Earth and Planetary Science Letters, v. 269, p. 309-325, doi: 10.1016/j.epsl.2007.12.005. Hickman, S.H., et al., 2012, Scientific basis for safely shutting in the Macondo Well after the April 20, 2010 Deepwater Horizon blowout, Proceedings of the National Academy of Sciences of the United States of America, v. 3, p. 3. Merrell, M.P., Flemings, P.B., Bowers, G.L., 2014,Subsalt Pressure Prediction in the Miocene Mad Dog Field, Gulf of Mexico, AAPG Bulletin, v. 98, no. 2, p. 315-340, doi:10.1306/06251312156. Study the geomechanics of mudrocks through experimental analysis. We analyze both intact samples (from industry and the ocean drilling program) and we synthetically create mudrocks. We ask fundamental questions such as, how to mudrocks compact?, what is the permeability of mudrocks and how does it evolve?, and what is the strength of mudrocks? Casey, B., Fahy, B.P., Flemings, P.B. & Germaine, J.T., 2014, Shear Strength of Two Gulf of Mexico Mudrocks and a Comparison with Other Sediments, Fourth EAGE Shale Workshop, 6-9 April 2014, Porto, Portugal, doi: 10.3997/2214-4609.20140029.